This issue of “The French Annual” is devoted to the relations of France and the countries of the Muslim East, since the Middle Ages and up to now. The reviews of several new editions on the history of France are published in the section “Historiography”. 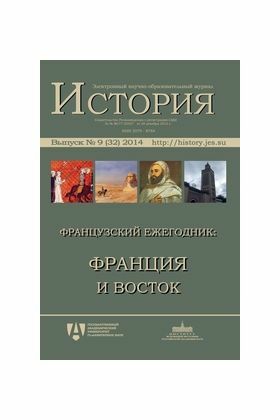 Also the bibliography of the works on history of France appeared in Russia in 2013 is presented to attention of readers. Nicolay Bouïdiï on the European Diplomatic Activity on Bosporus in the mid-18th c.